My husband is driving my crazy (and it’s not in the romantic kind of way!). I can’t blame him. He’s stressing out over Jamie’s skin allergies (Eczema / Asthma of the Skin / Atopic Dermatitis / Whatever it is you call it). It’s something she most definitely inherited from me. And all of this combined is driving me a little batty too. Over the last few months, it’s gotten much worse. It’s not easy to see your baby girl scratch, complain, cry and lose sleep over skin irritations and flare ups (despite heavy and constant antihistamine medication). If I’m having difficulty seeing her go through this, I can imagine how bad it must look to someone who didn’t grow up with it. I had to live through 20+ years of skin asthma before I got it under control (Jamie’s pedia-derma says that an allergy is never outgrown, it is only controlled). That was 20+ years of medications, lost sleep and constant itching and scratching to no end. I was diagnosed at age 10. Jamie though — she’s 2.5! She’s my little girl! My gentle soul. And I deal with her complaints and her crying all day and all night. It’s gotten to that point that even I don’t sleep because I wake up constantly at night to stop her from scratching and to re-apply any medical treatment that I possibly can. At the advice of our pedia-derma, We did a blood screen. HIGHLY. UNPLEASANT. But it did show us that she’s not allergic to food. Her triggers are environmental. It looks like she will outgrow this though as she gets older, but my husband is having difficulty accepting the uncertainty of when. Needless to say, finding a stop-gap, trouble-shooting the flare-ups and appeasing my husband (or at least trying to find a way that he will accept this reality for Jamie) is stressing ME out to no end. It’s a miracle my allergies haven’t flared up again! We are short of moving countries (and I wouldn’t mind that actually, but it’s not so easy to just pick-up and go), because I really don’t know what else to do. I’ve had the air conditioners cleaned. Bunny and the rest of her furry crew are constantly cleaned and put through the washer. The Cleaning Diva came and cleaned up the house. I can’t imagine what I’d do without our Aquasana water filters as it is. I feel as if I’ve tried every topical hydrocortizone and steroid cream in the market too. Jamie already knows the names of the products she likes and doesn’t like, as some sting the irritated skin upon application. 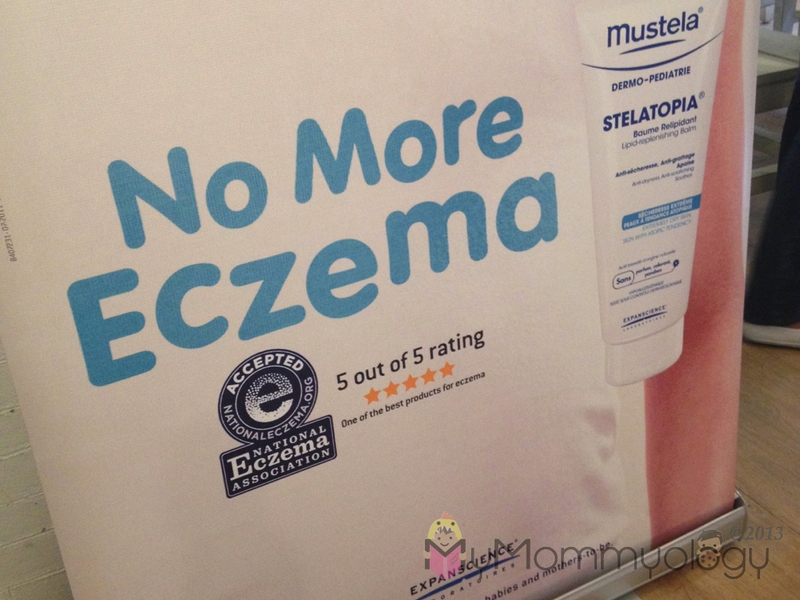 So what led me (us) to Mustela? Well, the #SoMoms were once again invited to a re-launch of some of the brands’ products. I’d heard of Mustela from my French-Italian friend Caro, as it’s the brand she uses on her kids, but I never did get a chance to try it on either of the girls. But thanks to the highly active social media circle, I’d also heard good things about it from friends who’ve tried it on their kids (apparently, there are so many cases these days of atopic dermatitis on kids! Goodness gracious. We need to clean the Manila air!). In any case, I decided to drop by as it was very near my apartment. And I was glad I did. This was the first thing that caught my eye and propelled me to stay. Yes please. No more eczema. Yes please. Tammy Tancinco of Mustela sat and chatted with me and listened to my story about Jamie as she saw how interested I was in their Dermo-Pediatrics Range. I made sure to take home a copy of this. I was also able to take home a few samples of the Stelatopia, Stelatria and Stela-Protect range. I loved what I was reading about it and was eager to try them all on Jamie. What really won me over was Jamie’s reaction to the products. When I first applied the cleansing bath milks and the topical creams, she didn’t cry. SHE DIDN’T CRY! She normally does because it the application of some products stung. 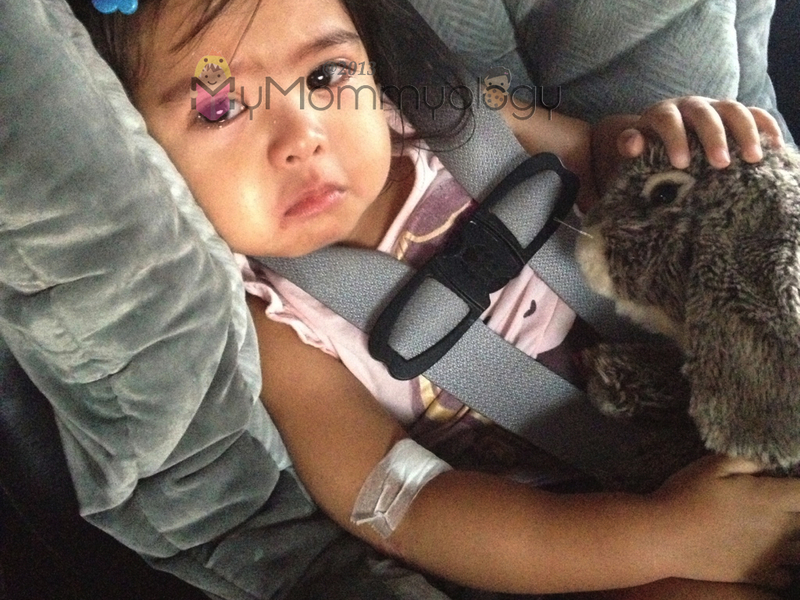 I think we were both surprised when she didn’t cry, as she was anticipating it to hurt again. She even said “It feels better already Mama”. Of course she would know. Within days, I immediately saw an improvement in her skin and in her sleeping patterns. We weren’t waking up as much for one thing. That’s a good thing too, because Jamie’s doctor says sleep helps them grow. The bigger they are the more equipped they are to combat these skin irritations. Plus, sleep helps heal the wounds and she doesn’t wake up to scratch and re-open them again. And my husband has seen a difference too. It hasn’t totally taken the problem away (realistically that’s too much to expect for any product to do! ), but it has helped. He’s even re-applied some of it on Jamie in the middle of the night without fear that she’d break into a crying spell from the pain. And Jamie loves it. She normally dreads the time when I tell her we need to apply this and that because it will sting, but Mustela doesn’t cause her discomfort at the onset. In fact she’s gotten so used to it, she told my mom which creams to apply and on what parts of her body when I wasn’t home. She asks for the Milky bath oil at the end of her bath every time now too. How to use? Fill a little tabo with water and mix in 2 caps-full of the oil. Use that as the last rinse and then pat dry. Her skin does feel like it’s trapped in more moisture than usual (we are going to need more of this bath oil soon!). There is nothing that will make me love a product or a brand more than seeing it work wonders for my child. There are a few that have been able to do this, and because of what we’ve just gone through, Mustela has made it to my “brands I swear by” list. They have truly won me over. 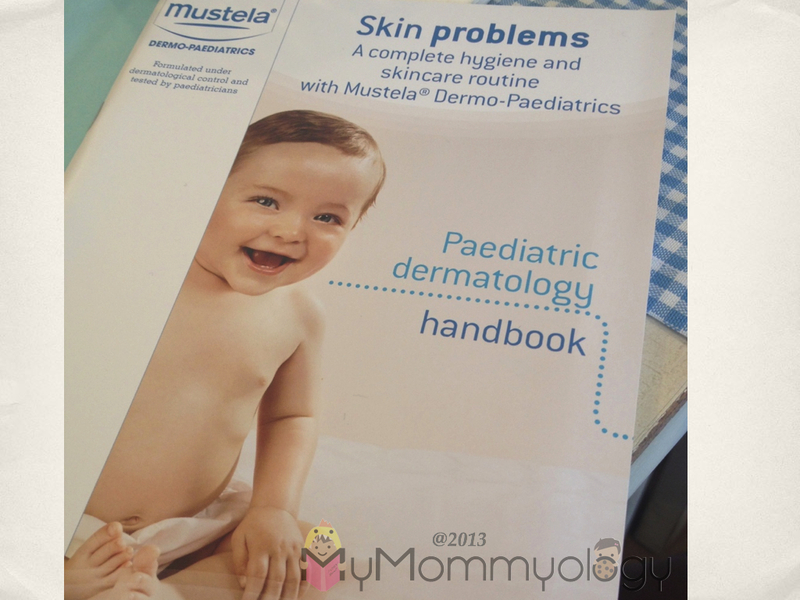 If your child is experiencing some skin problems, Mustela can help! I definitely believe it! Mustela has recently seen the re-birth of the MustelaBebe and Mustela Sun Protection Lines. The new patented active ingredient Avocado Perseose is proven to help baby’s skin be less vulnerable from birth onwards. Babies need time to build their skin’s cutaneous barrier, leaving their cellular resources vulnerable for a period of time. Avocado Perseose stimulates the production of the barrier’s key elements to promote its development and function. It also acts as a shield against external stresses, directly protecting the skin’s original cellular reserves. And if I may add: it smells awesome too! Mustela Philippines is directly distributed by PHARMASAFE INC. and is available in the following stand-alone Kiosks: Ayala TriNoma, Robinson’s Ermita, Glorietta 4, Shangri-la Mall, Megamall A, Greenhills, The Shops, Alabang Town Center and Mall of Asia. 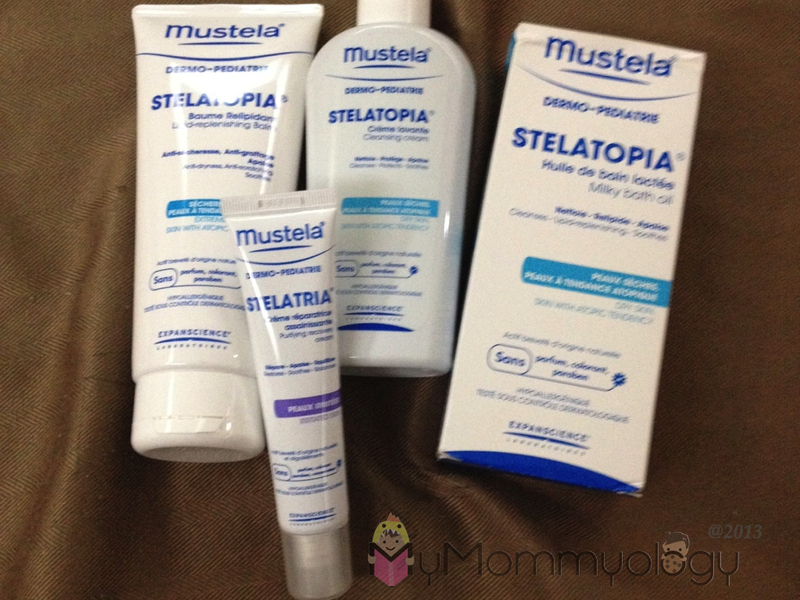 For inquiries, contact the Mustela hotline at 0917-8959988 or email mustelaphilippines@yahoo.com. Follow them on Facebook at Mustela Philippines. Not that I know of. However you can use it on you too! I believe it’s gentle enough.